Born i n Baltimore, MD, Nardia Boodoo attended the Baltimore School for The Arts from 2005-2009, the North Carolina School for The Arts 2009-2010, and was a Professional Training Program (PTP) program dancer at Dance Theatre of Harlem from 2010-2011 on full scholarship. Ms. Boodoo has danced at Jacob’s Pillow in 2011 on a full scholarship. During that time she was part of a select group chosen to work with Stanton Welch on performing an original piece. 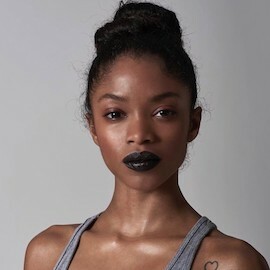 Ms. Boodoo was asked by Ashley Wheater to attend the Joffrey Academy of Dance as a trainee on a full scholarship with stipend under the direction of Alexei Kremnev and Anna Reznik, where she performed the lead in Choreographers of Color winner Jeremy McQueen’s Black Iris, as well as various works by Alexei Kremnev.